Amy King, Julia Bloch, and Tom Pickard — before a live audience — joined Al Filreis to discuss Basil Bunting’s 1977 performance of Walt Whitman’s “Out of the Cradle Endlessly Rocking.” On that occasion, a reading at the University of Newcastle-upon-Tyne, Bunting read poems by Thomas Wyatt, Ezra Pound (Cantos I and II), Edmund Spenser, and Louis Zukofsky, as well as this poem by Whitman. The full reading of “Out of the Cradle” runs some nineteen minutes. The group chose to focus on the first two stanzas, with a glance, late in the discussion, at the remarkable final passage: “My own songs, awaked from that hour; / and with them the key, the word up from the waves, / The word of the sweetest song, and all songs.” Although we don’t deal specifically with the significance of “word up from the waves” until the end, the discussion as it evolved can be said generally to be about the urge Whitman recalls feeling as a young man as a keenly discerned compulsion to “translate” longing into language — words of the sort that the sea suggests with its incessance, its bodily formlesness, its blank-slateness (as Tom Pickard beautifully suggests), its dependability. It and the natural seasonal life motions of the seaside birds embody the state of language of the sort Whitman needs and loves, a desire he discovers in these words of recollection. Tom Pickard’s engagement with this topic enables a personal as well as three-generation aesthetic lineage, from Whitman to Bunting to Pickard himself, who knew Bunting well at the time of Briggflatts (1965) and until the poet’s death (1985). As his final word, Tom read from his own poem, a dream of Bunting and himself by the sea — Tom’s way of suggesting a poetic response to Bunting’s death insofar as it invokes the rocking life-in-death of the cradle in the Whitman. 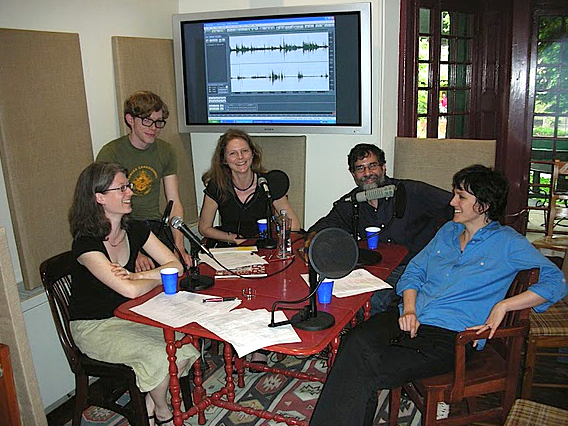 The PoemTalk episode, after the typically brilliant and sensitive editing by Steve McLaughlin, is based on a program that lasted an hour and seventeen minutes and included a longer version of the PoemTalk discussion followed by a full question-and-answer session. Some participants in the Q&A were viewing the program via live webcast. Questions were submitted through Twitter, through the online ModPo discussion forums, and by way of the telephone. A full video recording of the event is embedded below (YouTube recording that captures a GoogleHangout session). This special episode of PoemTalk was engineered by Chris Martin, Zach Carduner, and Steve McLaughlin. PoemTalk’s editor this time — and for every episode preceding this one — is Steve McLaughlin. PoemTalk is produced by Al Filreis and is a collaboration of the Kelly Writers House, PennSound, Jacket2, and the Poetry Foundation. All seventy-three previous episodes can be found at PoemTalk’s Jacket2 page. Grateful thanks to Jessica Lowenthal and Andrew Beal for supporting PoemTalk in all its details. 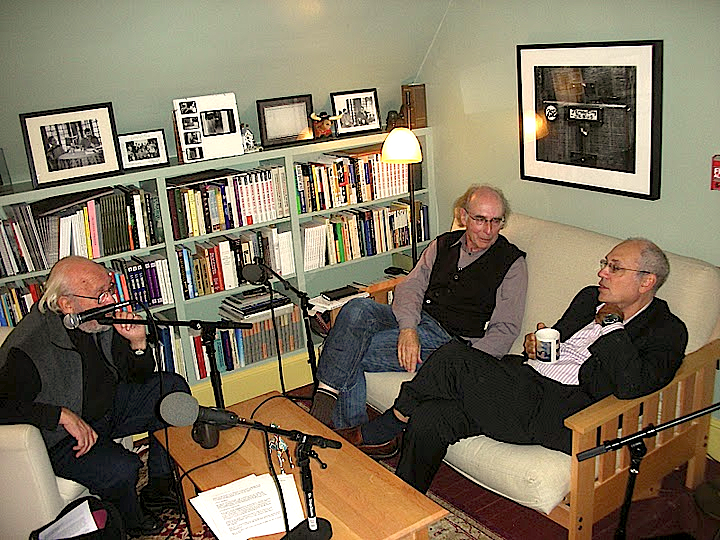 Above: video recording of November 5, 2013, live ModPo webcast: includes the PoemTalk discussion and a forty-five-minute Q&A session.